AMC’s The Walking Dead made good on its promise to introduce a new threat, following up on a cliffhanger almost three months in the making. Fans won’t get to see Jesus deliver a signature beatdown on the Whisperers, but he lived on in the hearts of his companions. Specifically the chamber reserved for vengeance. Jesus’ memory fueled Michonne, Daryl, and others to begin a path of retribution against those that walk with the dead. That journey began in The Walking Dead season 9 episode 9. Michonne and Daryl’s group escape the cemetery with Jesus’ body and head back to the Hilltop in a mix of shock and anger. They don’t know what to make of the masked people, but that concern shifts inward as they put space between themselves and the graveyard. Michonne finally accepts the newbies while thanking Daryl for continuing to look for Rick’s body. Being able to give Jesus a proper burial reopens those wounds with ease. They come across a small group of walkers and Daryl takes it upon himself to expose the living among them with a series of bolts to their knees. Once exposed, the group kill everything walking except for one. Michonne rips of a walker mask to reveal a teenage girl. Daryl decides to take the girl prisoner. The group arrives at the Hilltop, and the community mourns the death of their leader as the prisoner is transported to the jail. Tammy Rose speaks for the group when she tells Tara that they all want justice for Jesus’ death. Keeping the incriminated young woman there won’t ease those feelings. Michonne immediately begins interrogating the prisoner, but she has few answers for her. She maintains that everyone in her group is dead, that they don’t use names, and they wear the skin of the dead in order to survive. Unable to get anything concrete out of her, Michonne leaves. 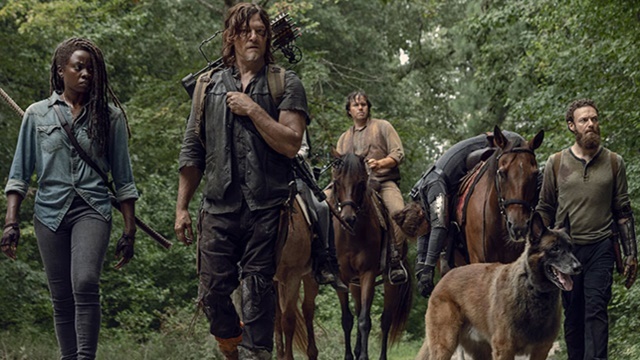 She intends to head back to Alexandria in the morning, but encourages Daryl to stay behind and provide the Hilltop with guidance following Jesus’ death. Negan has some discoveries to make of his own. He wanders out of his cell, gathers some food and steals a compass from Judith’s room before making his exit. That exit is interrupted by a gun-wielding Judith. Negan tells her he isn’t going back in his cell and he has no qualms about dying then and there. He promises Judith that he won’t hurt anyone. She relents, but warns him that there isn’t anything outside Alexandria’s walls for anyone. Judith allows him to keep her compass, hoping that it will lead him to what he hopes to find. 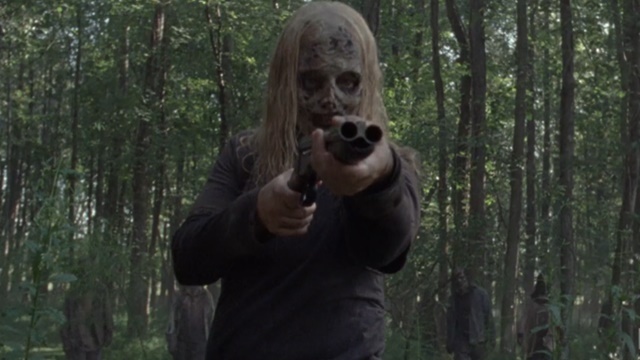 Judith also warns him that she will shoot him if she sees him again. Negan’s wanderings lead him back to the Sanctuary, complete with a new leather jacket and Lucille stand-in. The Sanctuary sits lifeless and disheveled, with one relic remaining in a now-turned former Savior named Big Richie. Negan lounges on a couch until he notices his last follower trail off toward a small group of walkers. He kills them all and leads Big Richie back to the building. The thud of the walker doesn’t prove good company and Negan puts the final nail in the coffin of Big Richie, the Sanctuary and all that Negan once possessed. He leaves his past behind and returns to Alexandria. A shot from Judith sends Negan off his bike, but he understands she’s simply keeping her promise. He’s ready to return to his cell after validating Judith’s warning. He returns her compass. Negan has no need for it anymore. The morning of Jesus’ burial is rife with drama. Rosita reveals she is pregnant with Siddiq’s child just as Eugene was about to profess his love for her. Henry, still in jail, struggles to find his place at the Hilltop after knowing where he fit in at the Kingdom so well. 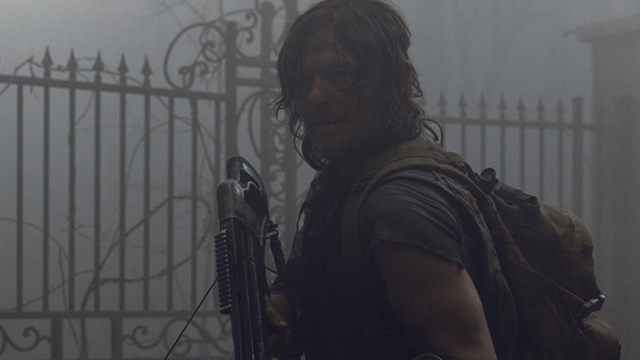 The sight of Jesus’ funeral leads Daryl to bolt back to the jail and question the nameless woman more intensely. She speaks of her mother while scoffing at Daryl’s belief that walls offer protection. Her community needs the dead in order to secure their safety. Daryl’s intensity grows, provoking Henry to tell him to back off from his cell. Daryl’s frustration boils over, leading him to scold Henry before storming out of the cellar. The woman thanks Henry for speaking up and reveals her name is Lydia. Daryl overhears the conversation from outside. The Hilltop has Lydia, but the Whisperers have their own entrapment plan afoot. Luke and Alden, still out looking for Michonne’s group, follow a trail of arrows that Luke identifies as belonging to Yumiko. The two find arrow after arrow until they stumble into a Whisperer ambush. The two are encircled before coming face-to-face with Alpha and her shotgun. The sides are now even. 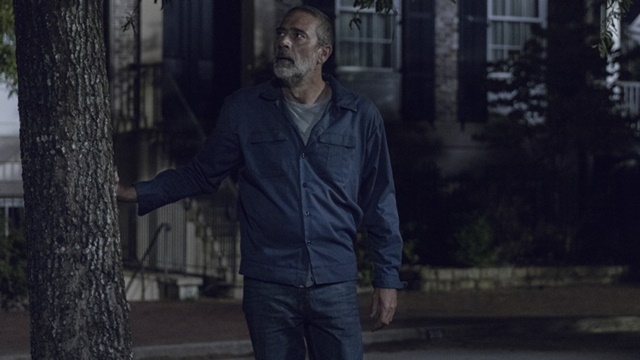 What did you think about The Walking Dead season 9 episode 9? Let us know in the comment section below!